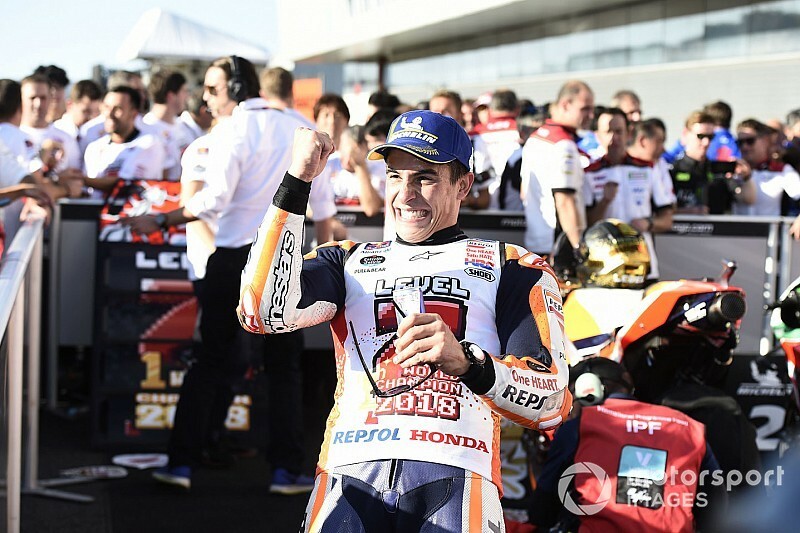 Newly-crowned five-time MotoGP champion Marc Marquez said this year was "much less stressful" for him than 2017, when he only secured the crown in the season finale. 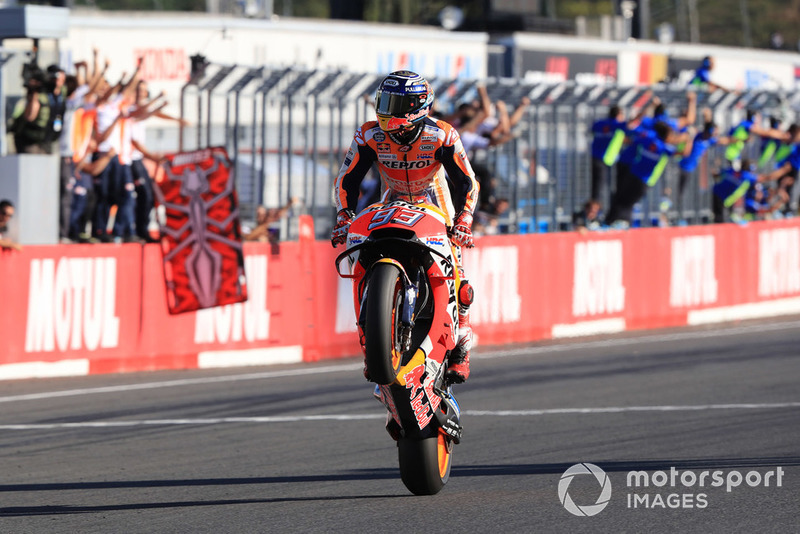 Marquez won his fourth and fifth MotoGP titles in 2017 and 2018, and his main rival was Andrea Dovizioso both years. While last year Marquez had a relatively slow start to the season, which then led to him securing the title only in Valencia, in 2018 it was Dovizioso who had trouble early on, allowing Marquez to keep a comfortable gap throughout the season. 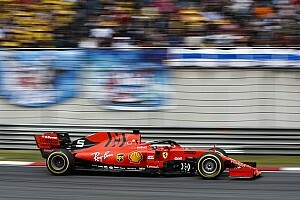 He sealed the title at Motegi with three races to go, his current 102-point advantage bigger than his final margins in any of his previous title-winning seasons. Marquez said this year has been much less stressful than last year, when he was even "losing hair". "Last year was much more stressful because I didn't have an advantage, the pressure was higher. The adrenaline when I achieve the title in Valencia, is different. "I always say, the last race is different. Is much more pressure, much more nervous and the adrenaline is different. Of course I am very very happy, but in Valencia it's different." Marquez has won eight races this year and has stood on the podium every time except for Argentina, where he stalled his bike and ended up being penalised for hitting Valentino Rossi, and Mugello, the only race he crashed in. He reflected: "When I check the papers and I see 20, 25, 20, 25, 20, 25 [points], this is something that we try to work really hard in the pre-season to try to achieve this consistency. "It's what I learn about Dovi last year. He was really good at managing situations and this year we did a really great job. "Sometimes I give this plus to the bike, and sometimes the bike gives a little bit to me. This compromise makes that consistency really good during all the season. "Honestly speaking, I just struggle in Mugello and there was the only mistake I did all season, the big mistake. Apart of that during all season I was able to be very constant and this was the key." He added: "Looks like this year I feel more mature, I feel like we start with a very competitive bike. "Last year also I start with a not so good feeling with the bike, I crashed many times and this year I was able to manage in another way and find this constant pace during all weekend different tracks." 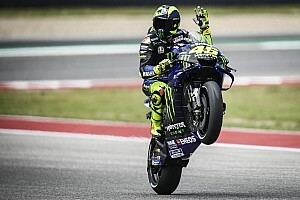 Having collected his fifth 500cc/MotoGP title, only Giacomo Agostini and Valentino Rossi with eight and seven crowns respectively are now ahead of Marquez. 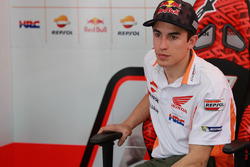 "I never thought about records, because every season is different," said Marquez. "Now I have a two-year contract with Honda, and these two years I will try to fight for the championship. "The [coming] pre-season I will work to fight for another title and I know that I will have the pressure like all top riders. "All top riders, we are working for winning the championship. If you finish second, is a good season, but the goal is not achieved. 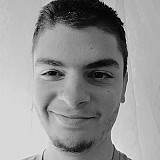 As long as I stay here, I will try to increase this number."